Providing you solutions at a fraction of the cost! 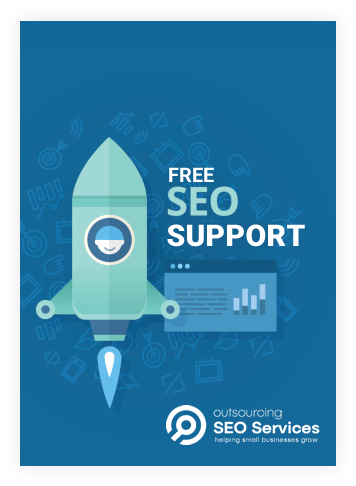 Why should you use Outsourcing SEO Services? Outsourcing SEO Services is a cost-effective and hassle-free way to increase traffic to your website. We offer a broad range of services, including search engine optimization (SEO), social media optimization, local SEO services, pay-per-click campaign management, and link-building services. Outsourcing SEO and digital marketing services is the future of business. Fortune 500 companies have been using this strategy for years to give them a competitive edge and improve their profitability. The challenge for small and medium-sized enterprises (SMEs), however, is finding suitably qualified and experienced individuals and teams that can handle the outsourced work. This search can be expensive and time consuming. Our specialized outsourcing services are the answer. We’ve already done all the heavy lifting for you, filtering through thousands of professionals around the world. Every SEO and digital marketing professional with whom we work is thoroughly verified and checked so you are guaranteed the best possible service at the lowest possible price. Save time and money. Get results. Leverage social media. Spend less. No compromise on quality. Fraction of the cost. Our SEO services include analyzing your current position, developing and implementing a customized strategy, and measuring the results. We handle your social media advertising campaigns, develop and implement content strategies, and optimize your pages. Consumers prefer to search locally. We ensure that your Google My Business listing is optimized. This will enhance the local visibility of your business on Google, give you a presence on Google Maps, and strengthen your Google+ reach. We optimize each part of your PPC campaigns to ensure maximum ROI. This includes audience targeting, ad text, ad design, and the content of your landing page. Sign up for weekly emails on how to improve your site traffic and supercharge your client base. Positive results, will continue with the service. Great people to work with. Good quality work and professional. They have been enthusiastic about the projects. Started with paid per clicks, very helpful. Now doing monthly seo and been going good so far. Thank you. Prompt in their reply’s and very good with communication. Doing a great work for my Social accounts. I recommend. Finished product was impressive, they built a website and start me off on my social network, search engine rankings are coming along nicley. Appreciate the professionalism! They have been meeting my expectations and more. Helping me with SEO and Social Management. Great group to work with. Good quality of work and highly recommended them. Really help my SEO improve. Excellent work, very professional, fast responses and a complete pleasure to work with.